The Lodge is situated on beautiful lake Bridgeport, and offers a wide array of water activities. Spend a relaxing day fishing on the well-stocked lake, or enjoy an array of water-sports. 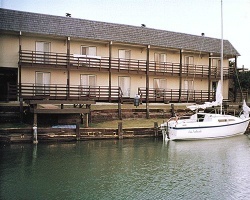 Boaters may tie their boats at the retainer wall directly behind The Lodge, or use one of the four locked boat slips available to our owners and guests. Information is available on local licensed fishing guides and lake tours. At the resort, you'll find two lighted tennis courts, an outdoor pool and hot tub, and a children's play area. An 18-hole golf course with a restaurant is within a mile. Owners and guests play golf at membership rates at The Club at Runaway Bay. Spend the day relaxing lake-side and hit the road to Texas' famous Fort Worth and Dallas at night. Sight-see, enjoy an opera or marvel in the night-life of metropolis then return to your rural getaway and relax lake-side. The Lodge has it all! Rare resale opportunity at this lovely resort! 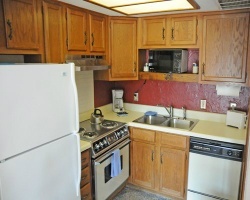 Located right on beautiful lake Bridgeport! Buyer may receive a title fee credit, inquire for details! Annual week 37 is great for exchanges with RCI! Explore fun water activities on-site! Buyer receives 85 weeks! All offers considered, inquire now!